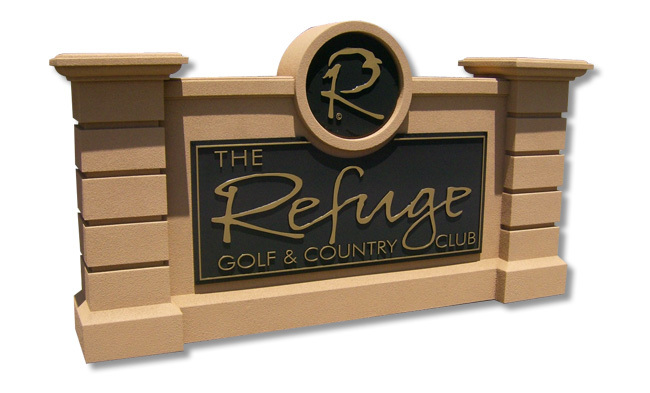 Sign Monument Graphics, 3-D Embossed on the Best Sign Monuments. We Can Incorporate Anything You Like - Even With Color Matching. We can incorporate your Logo, text, or anything you like. This is not a situation where you are charged by character. 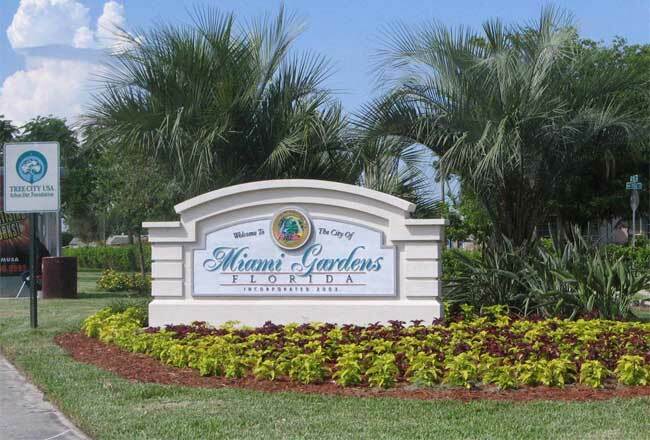 Our goal is to produce a sign solution that complements your needs. Let us know if you want permanent graphics, if you may want the ability to change the graphics in full (sell the property) or change only portions of the graphics (multi-tenant development) and we will design a solution that will not require you to start from scratch in the future. Provide us with your logo, and we can emboss it into your sign monument, single or double sided view. We can produce your artwork, and add any additional text required for your project. Let us know any additional content (text or artwork) you wish and we will incorporate it into your sign design. You are not restricted to picking from limited fonts and colors. Our technologies allow your graphics to be embossed - even at multiple depths, and with custom color matching. 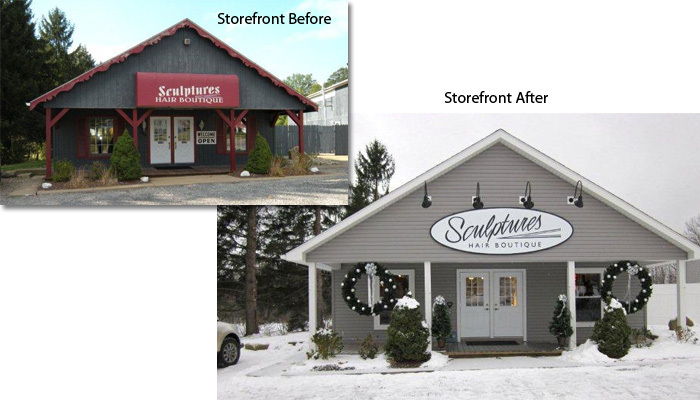 Let us assist in re-vamping your storefront, commercial property development or multi-family complex. Our design team can offer many cost-effective ways to revitalize what you have without breaking your budget. Our dimensional sign graphics are not limited to stand-alone signage structures! 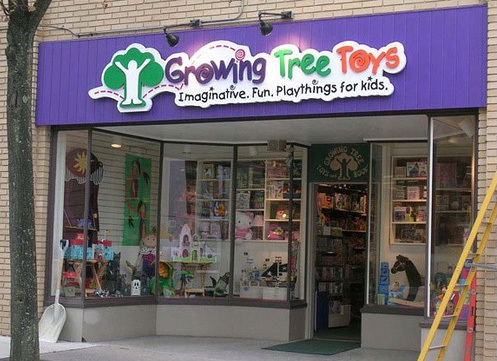 Our sign systems can also be modified to produce 3-D embossed graphics that mount to your storefront. 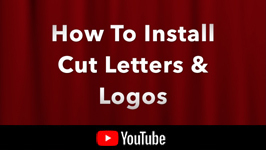 Any logo, any font, any color - the options are limited only by your imagination. We absolutely love being challenged! Speak with a Design Specialists, and we will make it happen. or individual routed letters & logos! See the Standard Sign Model Designs and more. Look at numerous pictures of completed sign projects. Complete our online form to receive a free quote. The Best Sign Monuments require the Best solutions. 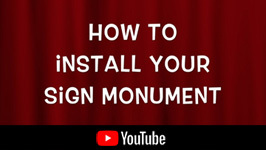 Our focus is to offer a painless, one-stop source for your new sign monument project needs. Our goal is to make you look your Best, and to save you unnecessary expenses. And Yes, we deliver to any job site in the continental United States. Feel free to browse our Online Portfolio to see hundreds of examples of our work. You are welcome to complete our Online Contact Form to initiate the process of receiving your complementary consultation. 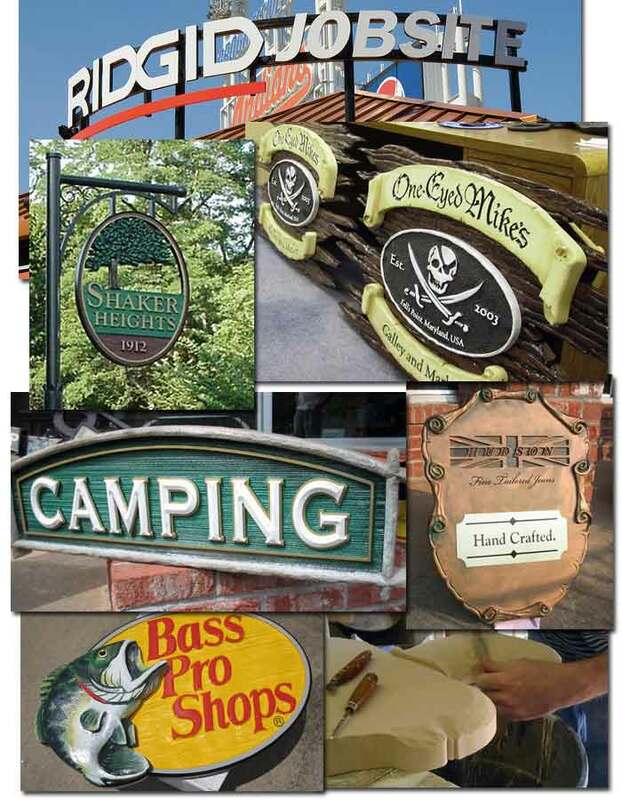 Check out our Sign Photo Collage Gallery which includes hundreds of examples of signage projects we have designed and produced over the years!